Cook, who wrote a rough draft of her own obituary about two months ago, requested that services be held in a cheery place, one that matched her upbeat, optimistic attitude that never wavered as her 13-month battle with pancreatic cancer neared its end. More remarkable was Cook’s entry into the news business. The stay-at-home mom was pregnant with her third child in 1959 when she was asked by a Middlefield Village neighbor to take over temporarily her part-time job as Middlefield correspondent for the Geauga Times Leader. Six months stretched into 60 years. “Part-time turned into full-time. But she was a natural. She had no training. She was doing what she did to help ends meet,” said her son, Warren, of Orwell. At the time, the Cooks lived in Middlefield, where Doris’ husband, Bruce, became mayor in the ‘70s. That she was the Middlefield correspondent at the time was not seen as a conflict of interest. “She knew everyone,” Warren said. A people-person, Cook also worked with the Geauga County Travel and Tourism Bureau. “To promote our tours, Doris made phone calls to local schools and developed a professional relationship with teachers. She enriched our interpreters’ training with at least one field trip each season to nearby historic sites of interest. Sometimes, it was difficult to keep Doris on schedule during tours because she always had just one more interesting story to share with her group. Her enthusiasm was contagious,” said Carane Ladd of Century Village. Cook’s daughter, Laura Walters, of Munson, said her mother took on the job of driving Geauga County Maple Festival queens to festivals state-wide, and pitched the Maple Festival at the Geauga County Fair. Cook was active for 20 years with the Middlefield Garden Club and sang soprano with the First United Methodist Church in Middlefield. Covering the Amish community as a U.S. Census worker in the ‘60s led Cook to give speeches on the Amish culture. Yet overcoming health problems such as diverticulitis and shingles, Cook could not get the newspaper ink out of her veins. She covered murder trials, presidential debates and local visits by President George H.W. Bush and Prince Charles of England. When the Times-Leader folded, she became editor of The Gazette’s Valley News, and nine years later, was tapped as the first editor of The Shores News in Roaming Shores. 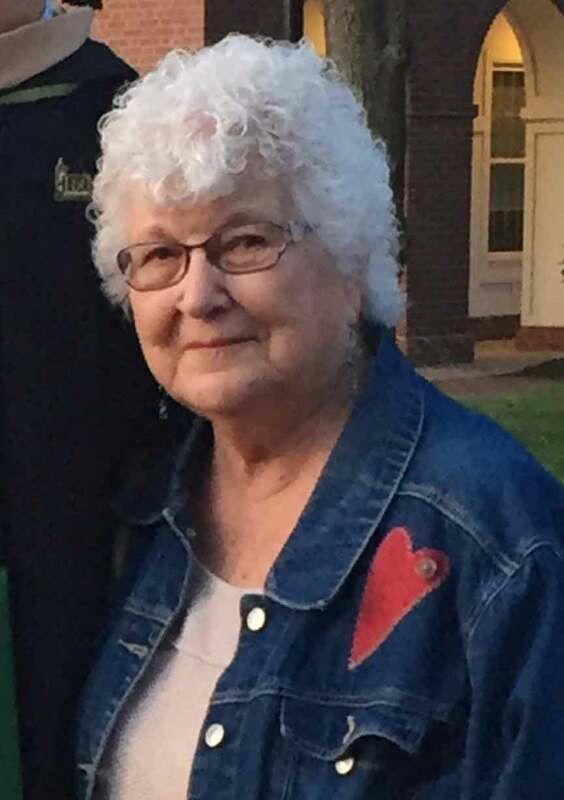 She became Geauga County correspondent for the Star Beacon before retiring in 1997, but continued writing free-lance before returning to Gazette Newspapers to cover South County. When Cook joined The Gazette, and her husband retired, the couple moved to a two-story farmhouse on Main Street in Orwell – an ideal location across the street from Orwell Village police and fire departments. “People called her. When the Orwell fire trucks rolled, there’d be a phone call, and off she’d go. She was like an ambulance-chaser,” said her son, Scott. For a time, Cook covered Madison for The Gazette. When its Orwell and Andover newspapers merged, she added Andover to her beat. As an Orwell Village resident, Cook jumped into the community as she had in Middlefield. Dabbling, like her husband, in local politics, she served on Orwell Village Council until she was forced to resign, due to a conflict of interest after returning to Gazette Newspapers. Joining the Grand Valley Public Library board, serving with the Ashtabula County Historical Society and volunteering at the Old Brick, Cook made sure all the groups received good press. “She helped organize some functions we held, and I can’t tell you how many times she wrote us up. And she wrote us up well. She was a big help in our beginning and through the years we’ve been operating the Old Brick,” said volunteer Jim Jones. Cook was equally respected by those whose organizations she covered. Cook’s legacy of dedication and service led Orwell Village Council to offer a moment of silence at its March 19th meeting after issuing a statement thanking Cook for her years of dedication and service. Orwell Village Manager Joseph Varckette was pleased to have worked with someone of Cook’s professionalism and “the nose and the knack” for reporting. “They were sitting in the meeting when they looked out the window and saw her car rolling slowly out of the parking lot. She jumped up and excused herself, saying she had to catch her car. It kept going, perfectly straight, across the street and into a driveway, and it finally stopped against a garage door. She came back into the meeting and told the police chief that she needed to file a report. He told her to wait until after the meeting was over,” said her son, Warren. Remembering Cook’s wit and attention to detail, Ashtabula County Commissioner Casey Kozlowski first met Cook while serving on the Pymatuning Valley School Board. continued throughout her life,” he said. Gazette Newspapers reporter Bob Lebzelter met Cook as a Star Beacon co-worker covering South County and recalled Cook’s first retirement party – noting it took place in the last century. “Retiring made Doris an advocate for not retiring,” he said. Last fall, Lebzelter felt compelled to offer Cook an explanation when he announced his retirement. Though fighting cancer and undergoing radiation treatment, Cook continued to work, attending staff meetings and covering events six days a week. Cook repeated her advice to Lebzelter when he visited her for the last time at her Orwell home. It was early March, after her final visit to the emergency room, when Cook reluctantly gave up her car keys. She turned in her Gazette laptop, with resignation letter, on March 11, just weeks after her 87th birthday. “We’re not surprised she kept at it for so long,” her family said. Nor are they surprised at the outpouring of condolences since her death. Cook’s children anticipate hugs, laughter, tears and plenty of stories at their mother’s “Celebration of Life” at Century Village Historic Church, 14563 East Park Street. Calling hours are 4 to 7 p.m. April 5, and 10 a.m. to until noon service on April 6, led by Pastor Laurie Krieg. A private interment will follow. Gazette Newspapers CEO Jeff Lampson said that Cook was among Northeast Ohio’s best writers.